We have all witnessed the rapid mechanisation of agriculture, the change in the climate and increased cost pressures. The list of competitive forces grows longer every day and people on the land need to find ways to deliver profit to their business. Upgrading farm equipment is one of the most effective ways to extract value from your biological assets, thereby putting more money in the bank. Financing farm machinery and equipment has a positive impact on your cash flow and often mitigates the taxation burden on your business. With a competitive finance facility behind you, your farm can utilise the best machinery on the market and ensure the future financial viability of your business. We provide finance for farm machinery like backhoe loaders, combine harvesters, graders, GPS units, skid steer loaders, tractors, trailers and sprayers, to name a few. We can also provide refinancing on existing equipment to free up additional cash flow to help you meet your budget requirements. Our experienced broker network and new business specialists understand the unique nature of the farming and agricultural industry, with its seasonal vagaries, dependencies and natural threats. From our competitive range of products and services, we can create custom finance solutions for our agricultural clients. 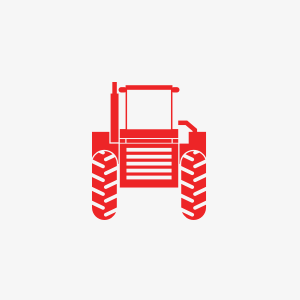 Our farm machinery finance options include asset finance, chattel mortgage, hire purchase, leasing and sale & leaseback facilities. Contact us today to find out more about how agribusiness finance can help you.